Jones, world number 39 at the time he was charged, was cleared of match-fixing but admitted failing to report a corrupt approach. 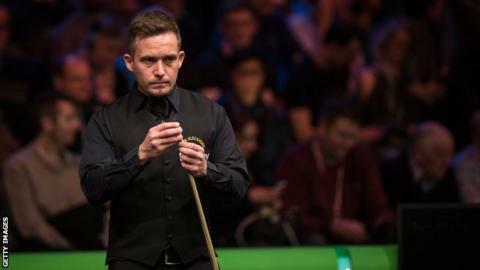 He was suspended in October after being accused of being part of a plan to fix a match between John and Graeme Dott. Ex-professional John - whose career high ranking was world number 68 - admitted fixing two matches in which his opponents were unaware of the plots. John was ordered to pay £17,000 costs, while Jones - who can play again in October - must pay £9,000. Both men's bans were reduced - John's from seven years and Jones' from 16 months - as a result of them admitting the charges. Jason Ferguson, the WPBSA Chairman said: "In the case of David John, this is a clear message that there is no place for match-fixing in snooker. "However, this case also highlights the importance of professional sportsmen understanding their responsibilities to report anything relating to match-fixing. "Jamie Jones is a well-respected professional snooker player and I have no doubt that has never fixed the outcome of a match he was involved in. It is a real shame to see that this talented player has fallen foul of failing to report his direct knowledge of an arrangement to fix a match."